Siem Reap is an eclectic town. The French Indochina influence is there, delicious street food abounds, but there is great diversity of cuisines available to cater to tourists from around the world. Take a look at the pictures below. The town is easily navigable by foot and not too hectic to exhaust you. Sure, there are people out trying to drag you into their stores, but this is not Cairo or Mumbai. You’ll mingle with locals buying fresh food and if street food is your thing, it is very cheap. Everything is open late and the whole town comes alive at night when darkness brings some cooling to the brutal daylight heat. While I don’t think twice about flying to Iraq or Iran, I could not bring myself to put my feet in the “fish pedicure” tank. These are widespread in Siem Reap. You put your feet in and the fish swim over and eat off a layover of dead skin. It makes me shudder even to think of it, especially because I am so ticklish. Traditional massages are available all over. Expect to pay about $10-12/hr. Like in Kulala Lumpur, my brother and I left the confines of our hotel to seek out food. And of course the first place I went to was a Mexican Restaurant. I enjoyed my quesadillas and street tacos. The homemade salsa was flawless and the cheese and tortillas surprisingly good. The restaurant, however, is expensive — at least compared to the myriad of other options available. About $7 per item is a lot of money in Cambodia. Still, I was happy to get my Mexican food fix. We enjoyed this little Italian restaurant so much we ate their twice. Not only is it reasonable, but the pizza is tremendous. Pizza served as our appetizer the first time. I had lasagna, my brother had pasta with arrabiata sauce. Next visit, we just had a beautiful carb bomb of bruschetta followed by pizza. This restaurant offers hotel delivery, so if you don’t feel like going out, they will bring the food to you. 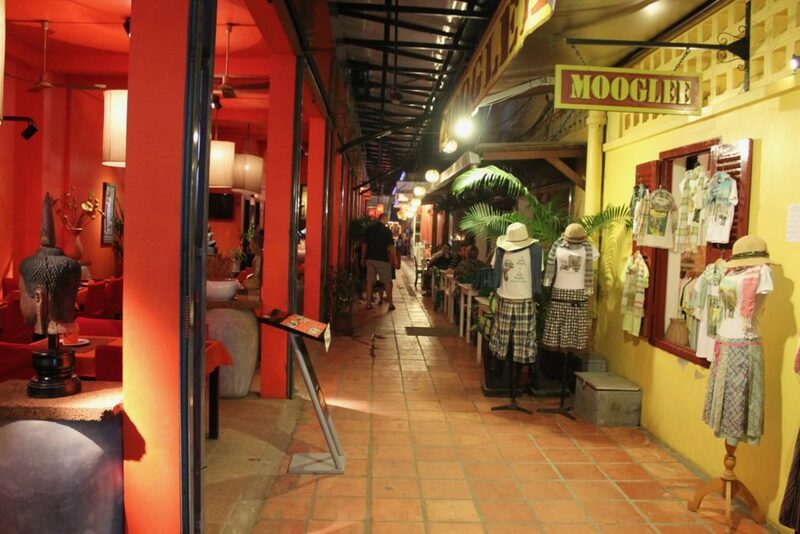 Walking through the town of Siem Reap is a fun way to spend an evening. If local cuisine appeals to you, you have some incredible options. If you’re picky like I am, there is bound to be several places to suit you. I enjoyed this town a lot, even if it is primarily a tourist town sustained by nearby Angkor Wat.